Francis A. Bartlett's fundamental purpose for establishing the company that bears his name was to provide quality care and good value to owners and managers of landscape trees and shrubs by means of a basic, four-step plan. Maybe it's finding a better way to manage your business so you can pursue your passion … or having the resources to spend time with those closest to you. BNB can make it happen. A Long Island community bank, we offer smart solutions, sound advice and personal service to help businesses and individuals succeed. We welcome the opportunity to do the same for you. Brown Harris Stevens is the quintessential luxury residential real estate firm, with a history of leadership and a culture of professionalism and discretion dating back to 1873. At every level of Brown Harris Stevens, you will find highly experienced, knowledgeable experts, single-mindedly devoted to your interests and your satisfaction. Hampton Jitney is a pioneer in the transportation field. In 1974, Hampton Jitney started with one van and a commitment to providing the finest personalized transportation service between Eastern Long Island (The Hamptons) and Metropolitan New York. Today, trusted financial advice is more important than ever. As your Financial Advisor, I take my responsibility to provide that advice very seriously. I want to learn all I can about you so we can address your most important priorities with a comprehensive plan that puts your goals within reach. 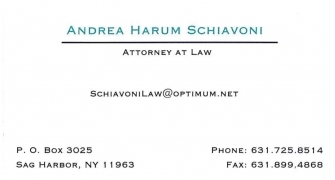 I'll also regularly review your strategy, always mindful of adjustments that might be needed over time. My aim is to be your hands-on partner, committed to a relationship that’s relevant to your life and focused on your financial success. Michael Derrig’s aesthetic is evident throughout some of the finest estates in the Hamptons. A Registered Landscape Architect, he established Landscape Details, Inc. in 2000. He works closely with landscape architects, architects and designers to realize their visions (no matter what the scale). He can also custom design your plan. With over 20 years of experience behind us, Long Wharf Upholstery & Fabrics understands how to make your furniture and homelook great. 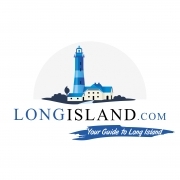 LongIsland.com - Your Guide to Long Island! Find all of the best local things to do, events, family fun, places to visit, news, businesses, and all things Long Island! Mala Sander is a consummate real estate professional specializing in high-end sales and rentals throughout the Hamptons. Whether you’re seeking a luxury waterfront home or wonderful residence right in town, she knows the area’s diverse inventory inside out and how to match it with your unique needs. This expertise plus exceptional service are the driving forces behind her consistent ranking in the top tier of Corcoran agents, and as the top-producing agent in the Sag Harbor Office since 2007. 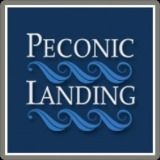 Chart your own course at Peconic Landing, an award-winning retirement community. Proud sponsor of the 2015 Mainstage Season Preview weeks. The mission of Roeloffs' East Hampton Optical has remained the same for more than eighty years – to help families keep their vision healthy and to find the best solutions to their eyewear needs. At Roeloffs' East Hampton Optical, your needs and comfort are our top priority. The Sotheby's International Realty® network provides access to luxury real estate and homes for sale worldwide. View our network's wide selection of luxury homes, estates, islands and more. The Awning Company, Inc. was founded in 1989 by Michael Moody who set out to provide customers with the best products available at a fair price and with a timely and professional installation. Jeanie Whiting and Bob Chabot, who ran the business with Mr. Moody since 1991, have taken over the reins. They are excited to continue in his tradition, providing custom designed and manufactured shading systems tailored to the specific requirements of your residential or business environment. For more than 40 years, we've been helping folks throughout the East end of Long Island area enjoy total indoor air comfort in their homes and businesses. 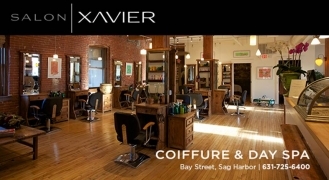 Salon Xavier Coiffure and Day Spa is located in the fun and fabulous Hamptons. Just a two and a half hour drive from New York City, we cater to urbanites looking to relax and unwind, local Hamptonites who live in our piece of paradise all year round and vacationers from all over the world. Official Salon of Bay Street Theater. Fishers Home Furnishings of Sag Harbor, New York has fine furniture for the Hamptons, East End of Long Island including the North and South Fork. Located in the beautiful, historic sea side town of Sag Harbor, Provisions Natural Foods Market and Organic Cafe has been part of the community for over 30 years providing quality natural and organic food. What started out as a dream of a young couple wanting to start a health food store, has evolved into a full scale natural foods grocery and cafe. Located in Sag Harbor's Historic Train Depot, this full service garden center is open from March to December. Everything for your garden: plants, pottery, organic supplies, tools and soil, propane, birdfeeders, bird food. Seasonal items include pumpkins and Christmas Trees. 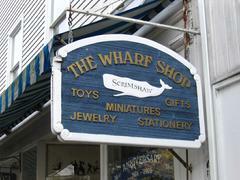 We are a family owned business serving historic Sag Harbor since 1968. Operated by Nada, Gwen & Dede with dedication to personal service for nearly four decades. Channing Daughters Winery is a small boutique artisanal winery producing hand-crafted wines made from sustainably grown grapes grown on our Hamptons estate as well as from North Fork old vines. Enjoy our wines by visiting the tasting room in Bridgehampton, join our wine club and enjoy them in quality establishments like Bay Street Theater. One of Eastern Long Island’s most celebrated restaurants. 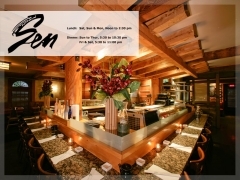 We invite you to enjoy our warm, cozy atmosphere and award-winning cuisine. Exceptional Breakfasts, Lunches, and Catering, Home-Made Bakery, Fresh Roasted Coffee, and unsurpassed people-watching make daily visits to the Golden Pears a long-standing Hamptons' tradition. Proud to be the Bay Street Theater Coffee Sponsor for 2015! The freshest face on Sag Harbor’s dining scene is located at the completely renovated and newly opened Baron’s Cove Hotel & Restaurant. Open for breakfast, lunch and dinner, this classic, all-American dining room, lounge and bar features fresh and local dishes by Matty Boudreau, one of the Hampton’s most acclaimed chefs. Choose from surf & turf, expertly grilled burgers, succulent fish, buttery lobster roll and a selection of seasonal dishes. Experience the legendary sunsets over Sag Harbor Cove from the second floor dining room. Reservations are encouraged. Reserve the Map Room for private events. 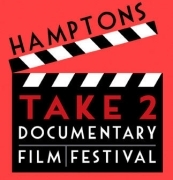 The mission of the Hamptons Take 2 Documentary Film Festival (HT2FF) is to celebrate local filmmaking talent and the art of the documentary. We reach both goals with our annual documentary Film Festival and our year-round programming and panel discussions. The guide to everything that is Long Island. 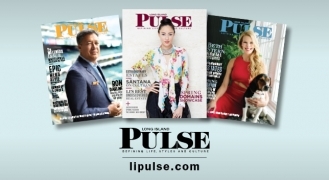 Long Island Pulse Magazine covers the Gold Coast to the Hamptons. Each issue features the best in the arts, culture, entertainment, lifestyles and people that make this Island special. 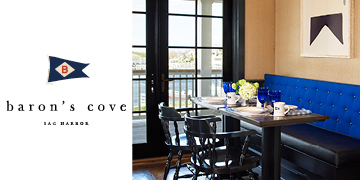 Baron’s Cove in Sag Harbor has been renovated with the infusion of comfort and sophistication. Enjoy the picturesque views of the harbor from our spacious rooms. Enjoy family-friendly amenities, plush bedding, and sophisticated décor in our quiet and relaxed spaces. We have also added a new building with a dining room, lobby and bar. 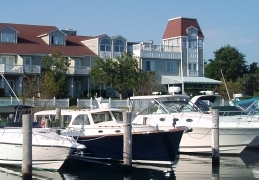 A picturesque harbor-side inn right in the heart of the hamptons. 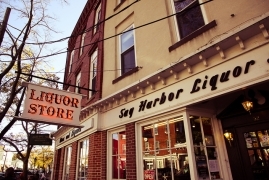 Plan a visit to the Hamptons and the beautiful town of Sag Harbor, home of Bay Street Theater. 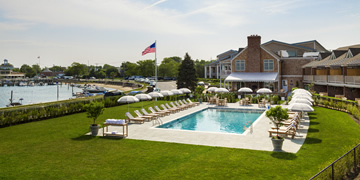 Nestled on a bay in the heart of the Hamptons on the East End of Long Island, Sag Harbor offers gracious accommodations and natural beauty with its pristine beaches, centuries-old tree lined streets and historic homes. 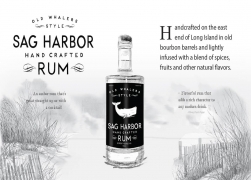 Coupled with an array of eclectic restaurants and shops, Sag Harbor offers something for everyone - resident, vacationer or business traveler, this former whaling port stands ready to welcome you!